These were GREAT instructions. I made mine in an afternoon and am looking forward to using it as we live overseas and walk everywhere. Thank you. Glad you liked the tutorial!!! I am going to try and make this next weekend. I'm beyond excited. I had been trying to find a footmuff for this very stroller and they are only available in the UK. Thank you so much! Just take your time measuring before you start out. It is not very difficult, only straight seams. I can't believe how much they charge in-store for these! Do link back to the post if you blog your work. I won't be blogging about it but I did pin this onto pinterest! I'm doing all the measuring now so I can head to the fabric store. This is just great! If I put it on facebook, I will for sure show the link. I always like to give credit to the genius! I used a duvet from IKEA instead of wadding, the cheapest one they had, 4 tog rating. Warm and cosy enough! Hi im about to print these instructions and make one over the weekend! I have a tall toddler and was not willing to pay £50 or more so excited!! Agree, the price in the shops are a real rip-off!! 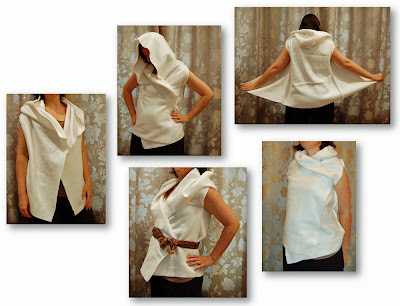 The bag is really simple to make once you have done all the measurements. Good luck! Hi I'm confused as there's no mention of the outer layer?? Any tips? Hi what fabric would you recommend? I'm very interested in making one of these for my niece! They are so expensive to buy. @Gillymayb: I have used simple cotton - both light weight / quilting and home decor versions. There is definitely more bulk with the latter. I have also used soft PVC coated fabrics, to protect a bit better if it rains. Saying that, if you have a rain cover it is easier to just use normal cotton. You could aways treat it to be water resistant (e.g. with spray from outdoor shop). 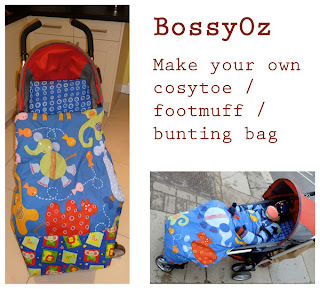 Make sure you take your time measuring the pushchair, then the sewing isn't too complicated. Thanks so much for this tutorial! The sleeping bag I made works great and I am so happy not to have spent $100 when I had everything I needed lying around anyway. sternfamily : Thanks for sharing pictures of your sleeping bag; it looks fantastic!! Good idea to skip the zip to make it even more snuggly. Fay Carter : Good luck with making a wheelchair cozy! Good thinking; the principles should be the same and it is really straight forward. Good luck with the hand sewing! Thankyou soo much for an excellent tutorial. I searched for a sleeping bag for my pram for ages without success. Your instructions were simple and easy to follow even for a sewing novice. I have had many compliments about my pram cozy. Thanks! Thanks for the great feedback Anonymous! made something similar for my children years ago - now onto grandchildren & just found your instruction. bought a lovely double fleece from charity shop for £5 - think enough material for single + double buggy!! We live in snowy Minnesota and are taking my son to cold/windy Chicago in a few weeks and this will be PERFECT to have so we can still go for walks in the winter! I'm going to try and make it this weekend. I think I'm going to try and use fleece instead of cotton, although I may decide on something more water resistant for the outside, and use fleece for the lining. I don't understand why the HEIGHT of Piece D is calculated using measurements (2) and (3) - which are width measurements. What am I missing? The image with the text "Supplies needed" states what you need. As all buggies/strollers are different, I have described how you make your own made to measure bag, hence no exact measurements. Anissa, looking at description again (after over three years!) I am with you, that seems wrong! Measurements (5)+(6)+(9) should be the height you are looking for. I'll dig out the original image files and adjust the instructions when things have calmed down a bit around here. I am surprised no one else has pointed this out before. Good luck with making the bag!! I'm gonna make one for my daughters doll stroller too! So glad I came across these instructions. Got a special needs child. And he has grown out of the footbags you get for toddlers. Can't wait to get started on this project :) Thank you so much!!!!! What a fantastic tutorial. I have been looking to buy one with a soft cotton lining for my son. Unfortunately this seems impossible. There is very little choice and the prices are unreasonable to say the least. Then I came accross your page. It looks so easy to make. I can't wait to start. Thank you very much. Never mind. I claim baby brain. Sorted now. Hi, just wanted to say thank you for taking the time to post this tutorial, I was just looking for a liner for a buggy I use for my granddaughter when I found your post, I did make just the liner but used all your instructions for measuring etc, so thankyou very much from not so sunny Scotland! Hi! Will your tutorial for the footmuff be back up soon? Thanks! I'm also very interested in understanding whether the tutorial will come back soon - many Thanks! I am pleased to say that the tutorial and pattern will be available on 18 June as part of a Baby Feature I am involved in over at UK Quilters United (ukqu.co.uk).